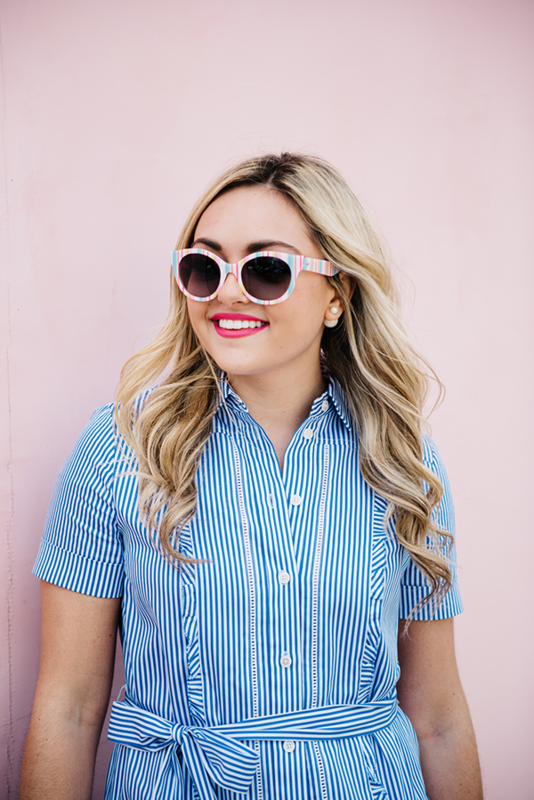 Updating your wardrobe for spring and summer always calls for an abundance of stripes, flirty dresses, bright colors, and quirky accessories. 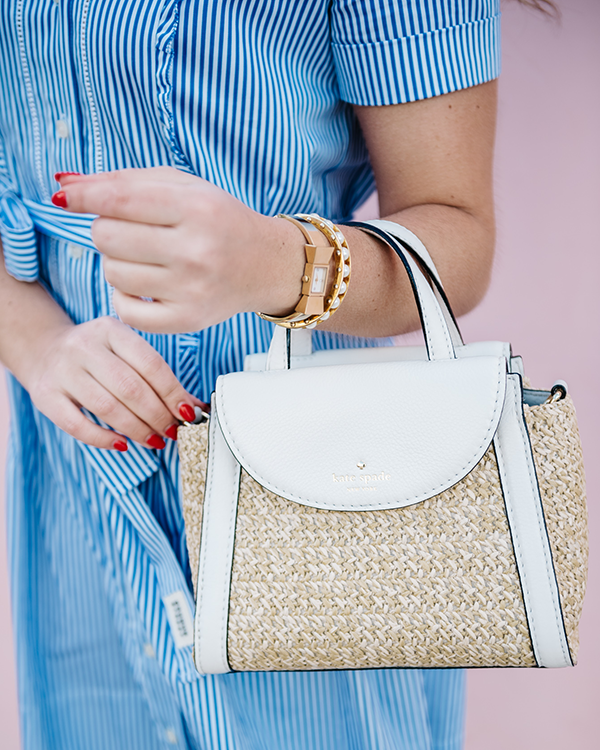 Kate Spade is one of my favorite brands year-round, but especially in the spring and summer! My style is pretty cyclical throughout the year… When the weather feels cold and dreary, I tend to gravitate towards a more neutral color palette. 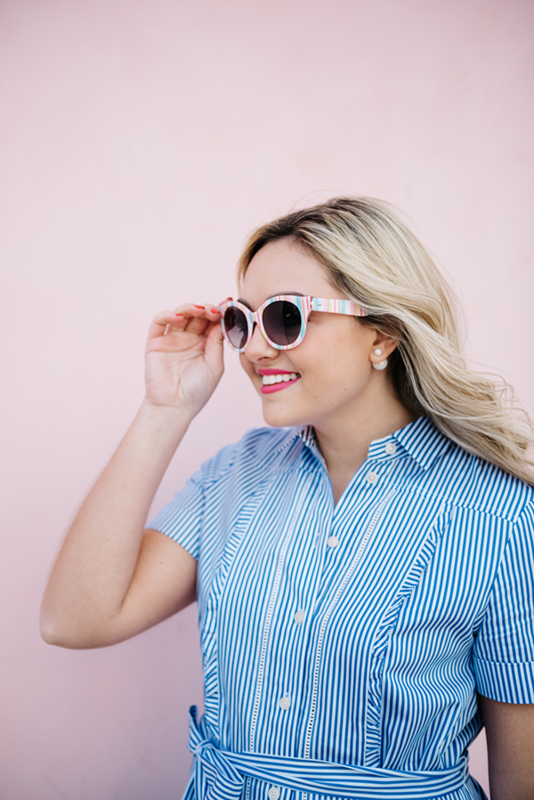 But when I’m packing for a vacation, or when the weather starts to warm up, I love wearing prints, brighter colors, and always have a bit more fun accessorizing. 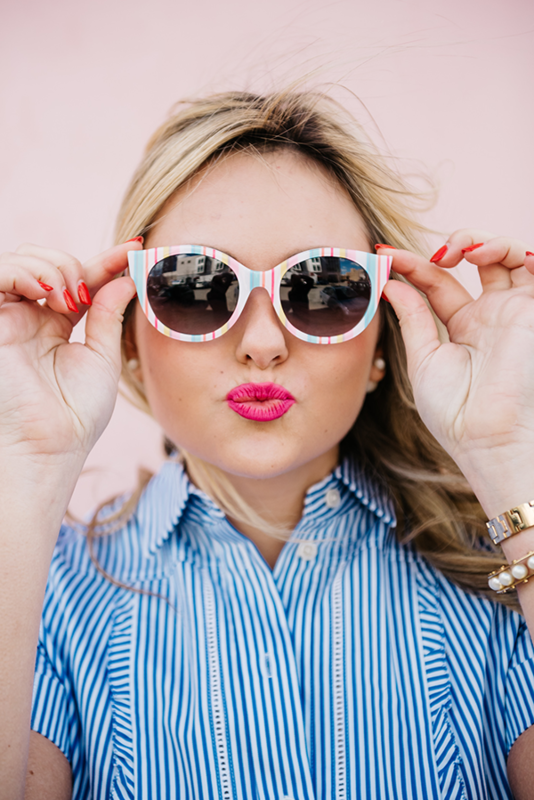 Fun and feminine is the name of the game! While it may technically be spring, we’re not quite there yet in Chicago. One day, it will be 65 and sunny and snowing and sleeting the next. (Truly, it’s snowing as I type this!) 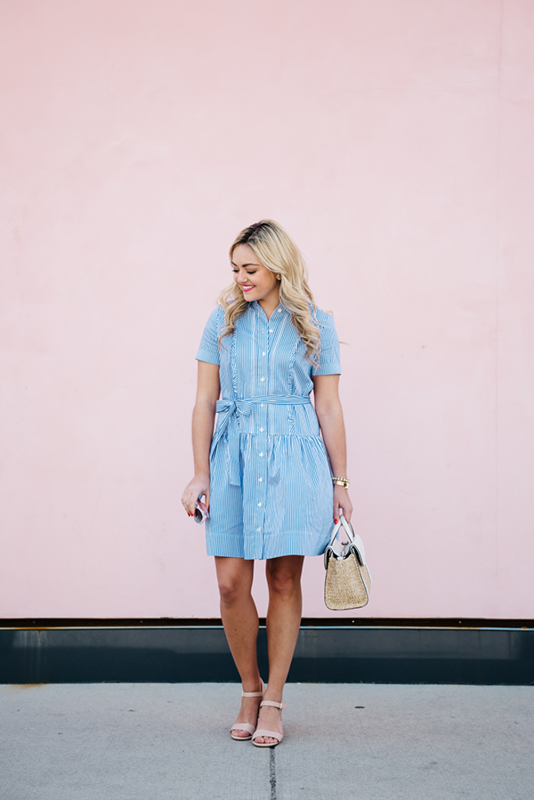 But as you can see from these photos, last week we had a beautiful sunshine-filled day that called for a striped shirt dress, embellished sandals, and my new-for-summer straw satchel! 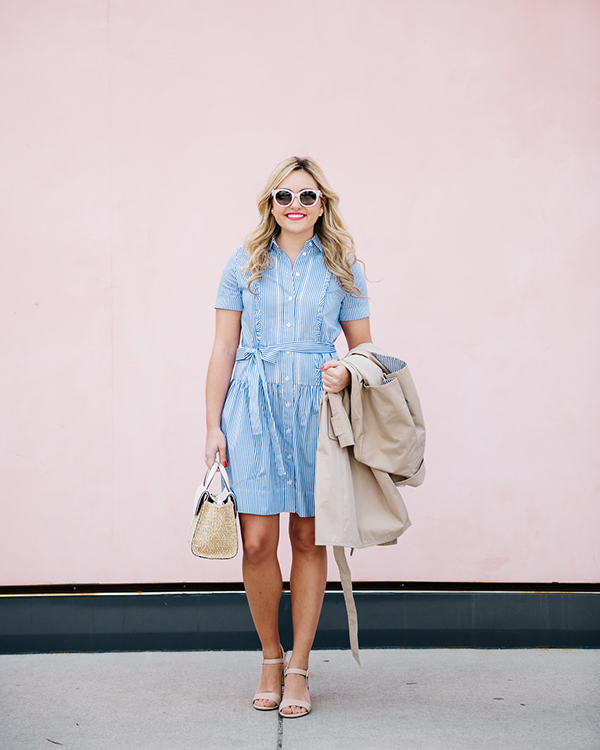 Spring and summer dresses are pretty much the same, but it’s all about how you layer during the up-and-down spring months! Jackets are a major key during springtime. I’ve been on the hunt for a thick trench coat that’s actually warm, and not just meant for lighter rain showers. This Kate Spade coat from Nordstrom is exactly what I was looking for… The slightly flared shape, the fun little message in the collar, and the navy striped lining sealed the deal! 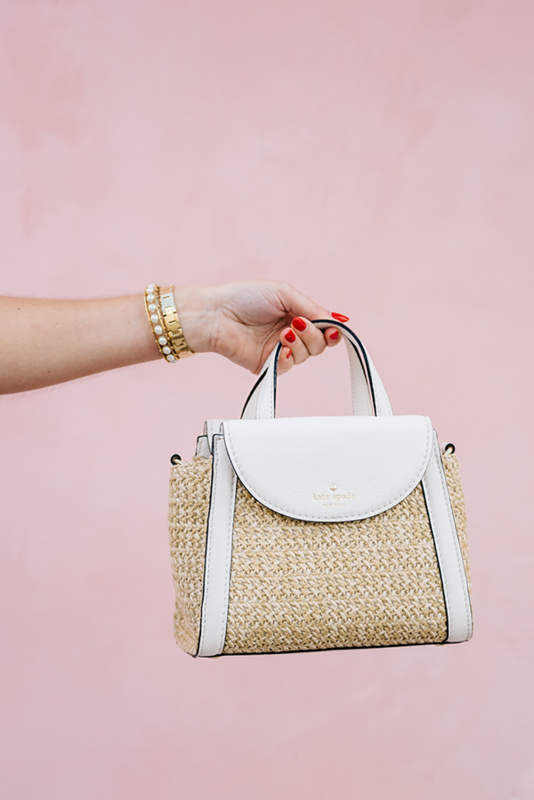 I have a few wicker totes and clutches that I use in the spring and summer, but I’ve been searching high and low for a straw handbag that’s perfect for everyday during the spring and summer and on vacation. I have a straw tote that’s more of a beach or farmers market bag, but I wanted something that felt super summery that also worked for everyday. Not too big, not too small. I just about fell over when I saw this Kate Spade bag at Nordstrom… It’s exactly what I had in mind! 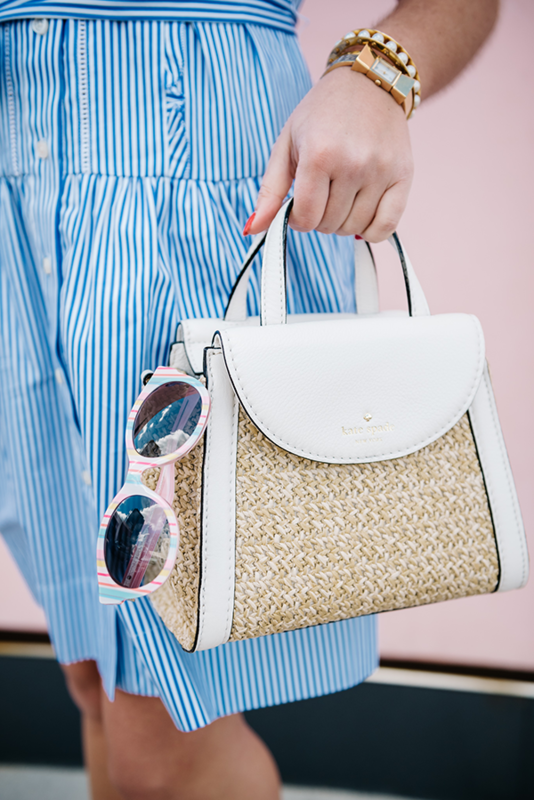 I don’t remember seeing any straw bags at the KSNY presentation at fashion week, and even though I constantly refresh the Kate Spade new arrivals, this bag somehow slipped through my radar. Buying it was a no brainer.. I know I’ll wear this bag pretty much every day now through September! I love how the crossbody strap can be removed so you can use the bag two ways — hands-free or as a cute little satchel. Weddings, date night, bridal events, baby showers… You really can’t go wrong since their such an easy height! 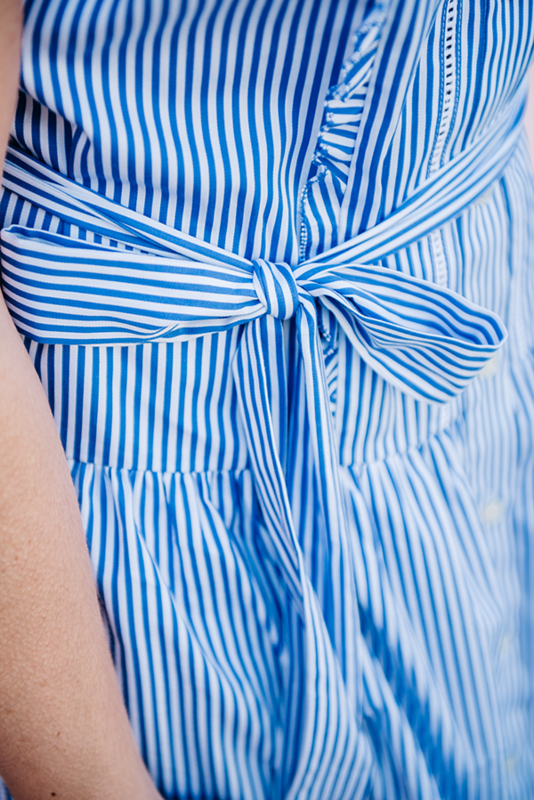 Dress them up with a fancy dress, or dress them down and pair with your favorite boyfriend jeans. Options are limitless! I also love these, these, and these! 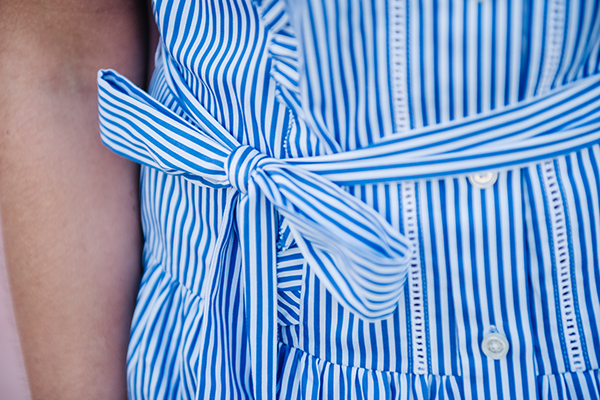 This Kate Spade shirtdress combines everything I love… Stripes, tiny ruffles, a slightly flared shape, a little bit of a drop waist, a bow-tie, and even sleeves. 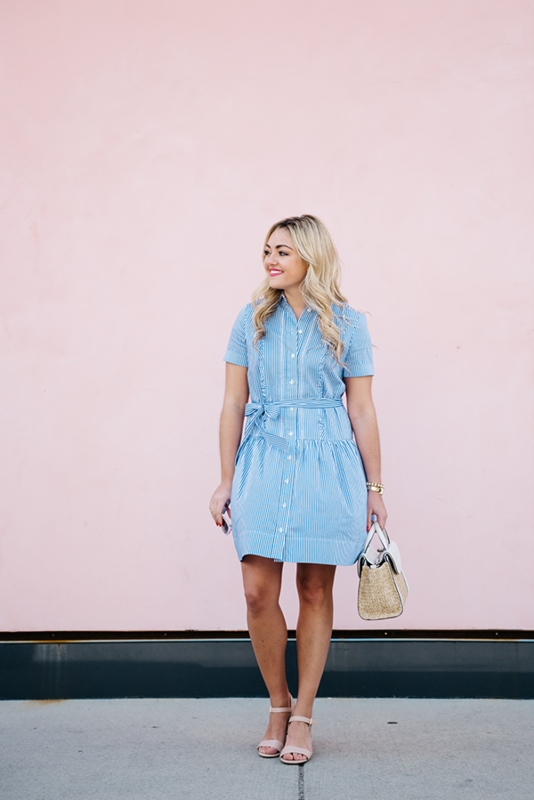 It really is the perfect shirtdress if you’re on the hunt! Wear a cropped, boxy jacket on top, or pair with your favorite white denim jacket… Wear it to work, or toss it on for weekend brunch with the girls. Styling options are endless! My fave look on you I think!!! ADORABLE! 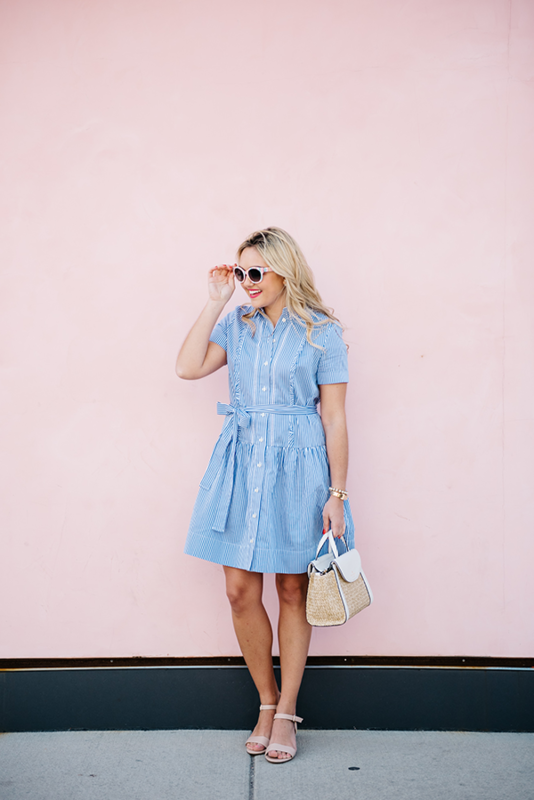 I love every single piece here so major outfit envy right now! Kate Spade has so much cute stuff! 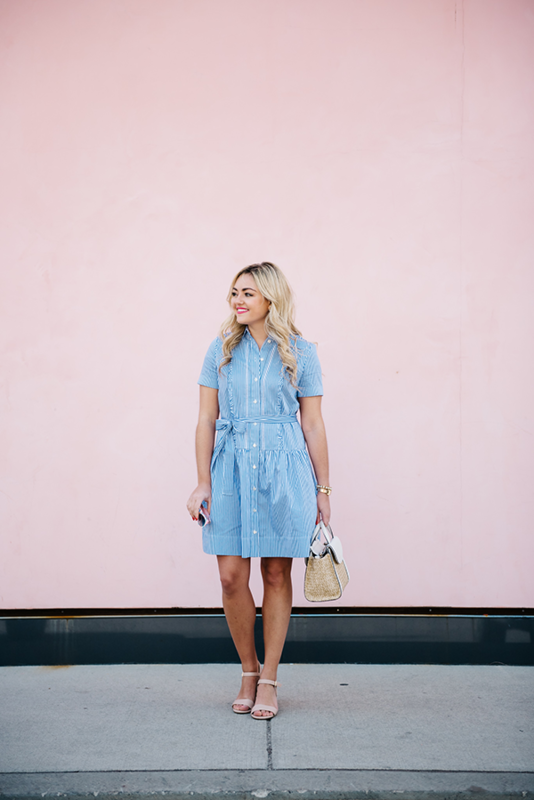 This look is cute and so you! This outfit is the prettiest ever! I love every single piece so much and it fits you so well! Love your chic, glamorous and ladylike outfit! You’re looking breathtaking and so unique! You remind me of Wendy Peffercorn here! These pictures are too cute. 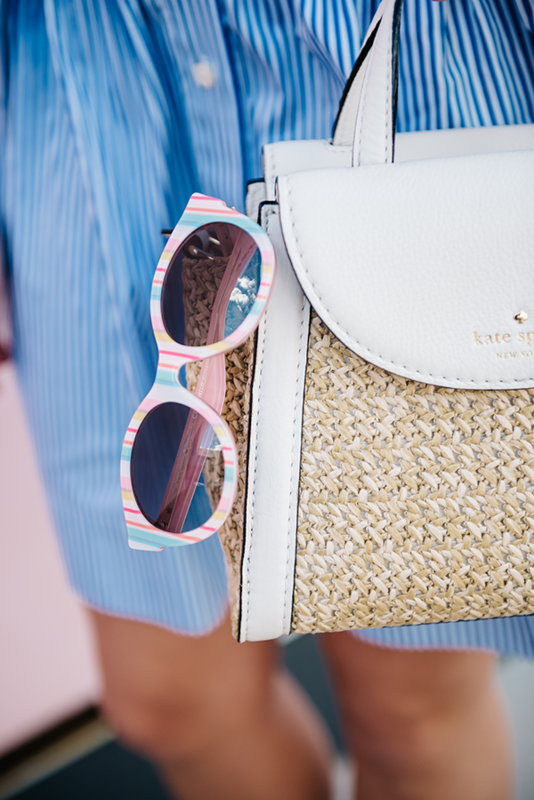 Love all things Kate Spade! You made some great spring choices. 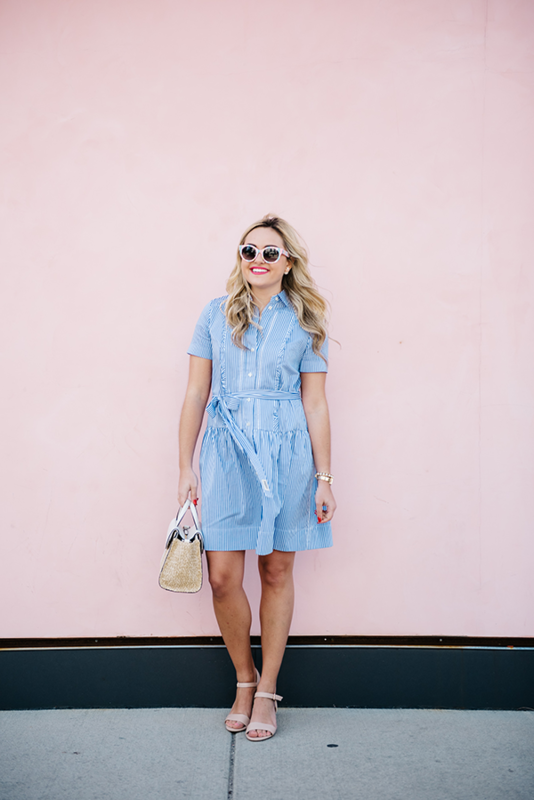 Loving that dress and the sunnies so much! This outfit is so adorable from head to toe. Love the sunnies especially. Such a gorgeous outfit! I love Kate Spade! These photos are so super cute. 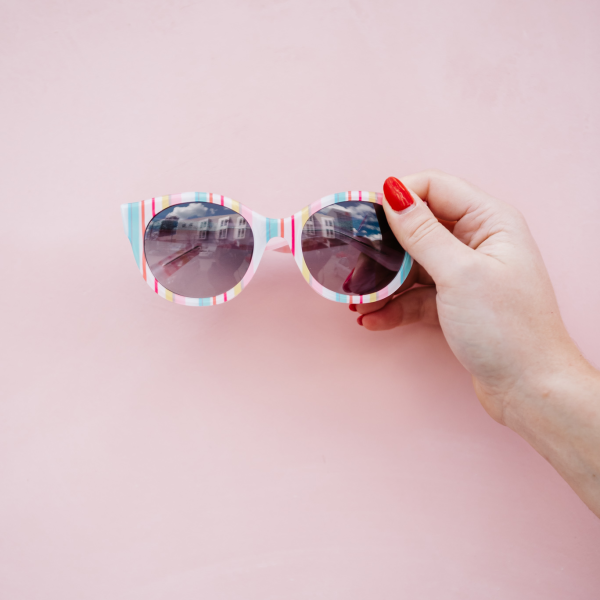 Love your sunnies!! I love this look! Fabulous. Umm… I might need to buy those sandals <3 They look just like the Miu Mius! !